Chauncey “Chan” Baldwin was born November 4, 1853, in Riga, New York. When Baldwin was 16 he moved to Onarga, Illinois, where he worked at a local drug store and learned how to become a pharmacist. 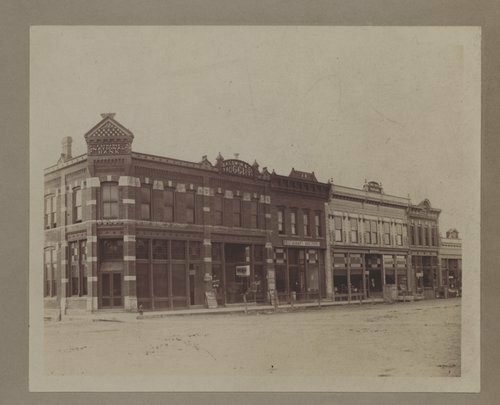 In 1874 Baldwin moved to Osborne, Kansas, and opened a local drug store with Al Wilson. Baldwin and Wilson Drug was the first drugstore in the area. After two years Baldwin became the sole owner of Baldwin Drug where he worked until his death in 1940. Baldwin married Lola Brodrick in 1880 and together they had one daughter. Brodrick died in 1915 and Baldwin remarried Nell Morgan in 1916. Baldwin was a charter member of the Kansas Pharmaceutical Association and he set a record as the longest continuously operating pharmacist. Little changed in his business over the years. He bought one of the original Rexall franchises. Baldwin died July 30, 1940 but his second wife continued to run the drug store until 1949.